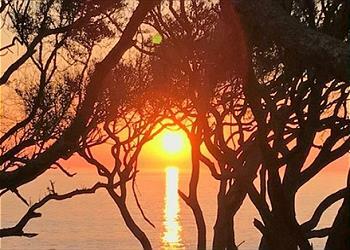 Jekyll Realty is excited to show you the latest additions to our collection of Jekyll Island vacation rentals. These properties are renting now. 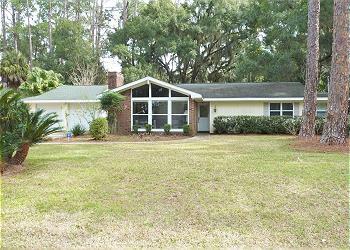 We have a variety of property types in various Jekyll Island locations so that you can choose exactly what you need for your trip. Check your dates for availability and stay someplace new to you! Oceanfront - 2 bed, 1.5 bath, living/dining room, kitchen, patio and balcony. MW, DW, 2 Satellite TVs, DVD, WiFi. ONSITE POOL. NO PETS, NO SMOKING. ONE (1) SET OF BED LINENS & TOWELS PROVIDED. BEDS: 1 Queen, 2 Single. Accommodates 4. 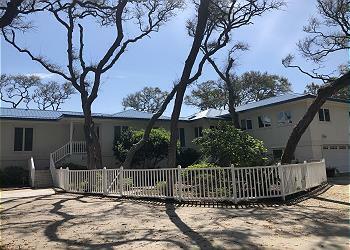 Oceanfront 5 Bed, 4 Bath, Great Room, Kitchen, Dining area, Screened Porch & Sundeck w/fabulous ocean views. MW, DW, W/D, 4 Cable TV, 1 DVD, WiFi, Charcoal Grill. . BEDS: 2 King, 2 Queen, 1 Full, 5 Single. Sleeps 15. NO PETS, NO SMOKING. 2 bedrooms, 2 bathrooms, living room, dining room, family room, kitchen. MW, DW, W/D, 3 Cable TVs, DVD, WiFi. POOL PASS @ DAYS INN BEDS: 1 King, 2 Single, sofa bed. Accommodates 6. NO PETS, NO SMOKING. 4 bedrooms, 3 bathrooms, living room, dining room, breakfast bar, kitchen, large enclosed porch. MW, DW, W/D, 5 Cable TVs, DVD, WiFi/DSL. POOL PASS @ DAYS INN BEDS: 2 King, 1 Queen, 2 Single. Accommodates 8. NO PETS, NO SMOKING. 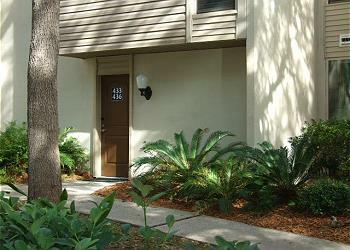 Located at the Cottages on Jekyll. 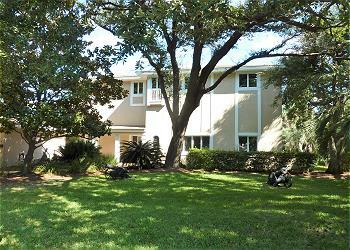 3 bedrooms, 3.5 bathrooms, living, dining, kitchen. MW, DW, W/D, Cable TV, DVD, WiFi/DSL, Gas Grill. BEDS: 1 King, 1 Queen, 2 Single. Accommodates 6. ABSOLUTELY NO PETS NO SMOKING. 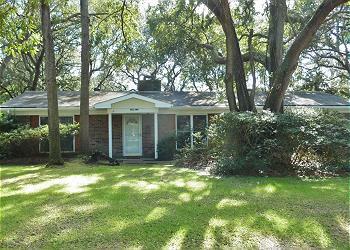 Great 4 bedrooms, 3 bathrooms, living room, kitchen, dining room, outdoor shower. MW, DW, W/D, 5 Satellite TVs, DVD, Gas Grill. NO PETS, NO SMOKING. BEDS: 2 King, 1 Queen, 1 Trundle. Accommodates 8. Oceanfront. 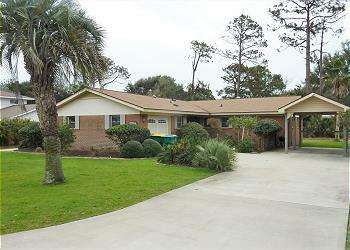 4 bedrooms, 4.5 baths, fantastic ocean views from upper sun deck & Master Suite with covered deck. MW, DW, W/D, Cable TV, WI-FI. POOL PASS @ DAYS INN. NO PETS, NO SMOKING. BEDS: 1 King, 2 Queen, 1 Trundle, 1 Sofa Bed. Accommodates 10. 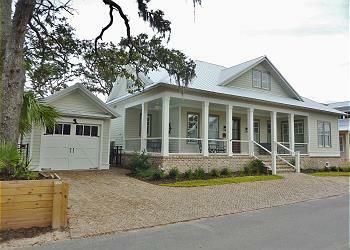 4 bedrooms, 4.5 bath BRAND NEW IN OCEAN OAKS, living room, dining room, screened porch, kitchen, single car garage. MW, DW, W/D, 4 Cable TV, WiFi. BEDS: 3 Queen, 2 Single, 1 Sofa Bed. Pool Access. Accommodates 8. NO PETS, NO SMOKING. 3 bedrooms, 2 bathrooms, living room, dining room, family room, kitchen. MW, DW, W/D, 5 Cable TVs, DVD, WiFi. POOL PASS @ DAYS INN, BEDS: 1 King, 2 Queen, 1 Bunk Bed. Accommodates 8. PET FRIENDLY YEAR ROUND w/ FENCED BACKYARD, NO SMOKING. 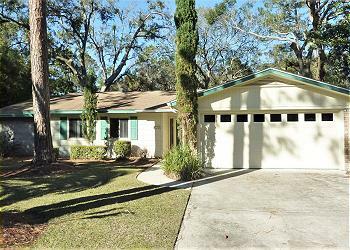 4 bed, 4 bath BRAND NEW IN OCEAN OAKS, living room, dining room, screened porch, kitchen, single car garage. MW, DW, W/D, 1 Cable TV, Gas Grill, WiFi. BEDS: 1 King, 2 Queen, 2, Single, 1 Single Sofa Bed. Pool Access. Accommodates 9. NO PETS, NO SMOKING. 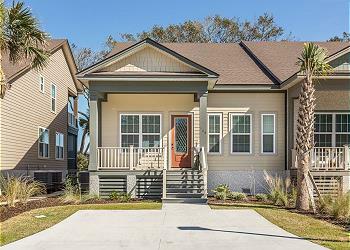 3 bed, 2. bath BRAND NEW IN OCEAN OAKS, living room, dining room, kitchen, patio, 3 Parking Spots. MW, DW, W/D, 2 Cable TVs, Gas Grill, WiFi. BEDS: 1 King, 1 Queen, 1 Full, 2 Single. Pool Access. Accommodates 8. NO PETS, NO SMOKING. 3 bedrooms, 3 bathrooms, living room, dining room, kitchen. MW, DW, W/D, 2 Cable TVs, DVD, WiFi/DSL. Charcoal Grill BEDS: 1 King, 1 Queen, 2 Single. Accommodates 6. NO PETS, NO SMOKING.